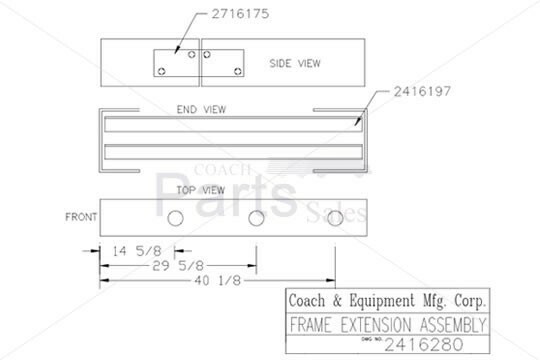 This Frame Extension is manufactured and fabricated by Coach and Equipment. This bus part is used when additional length is needed on the frame of the bus. Frame Extension Assembly wheel base: 176 in.